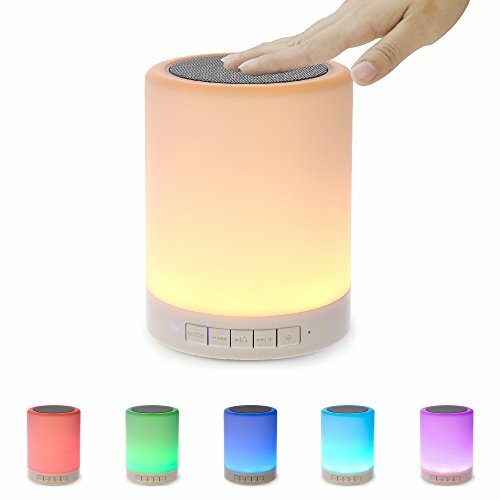 Bluetooth Speakers with Night Light Wireless Bluetooth Speaker Portable Bluetooth Speaker with LED Outdoor Bluetooth Speaker This SHAVA speaker lamp is an excellent product for both indoor as well as outdoor. Equipped with the latest bluetooth chip, it connects seamlessly with all bluetooth compatible devices and is great for speaker phone application because of the noise cancellation software. The different colour light change is also a fantastic feature whereby you have different colours to choose from as well as ambient white. The soft touch on the top on the speaker make its easier to turn on/off this SHAVA night lamp. If you have any questions about this product by SHAVA, contact us by completing and submitting the form below. If you are looking for a specif part number, please include it with your message.